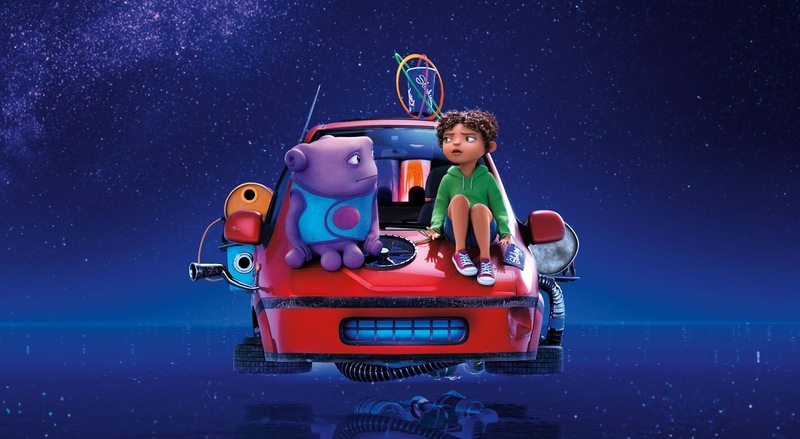 Bookish Lifestyle: Pre-Release Blu-Ray/DVD Giveaway - Home! Pre-Release Blu-Ray/DVD Giveaway - Home! 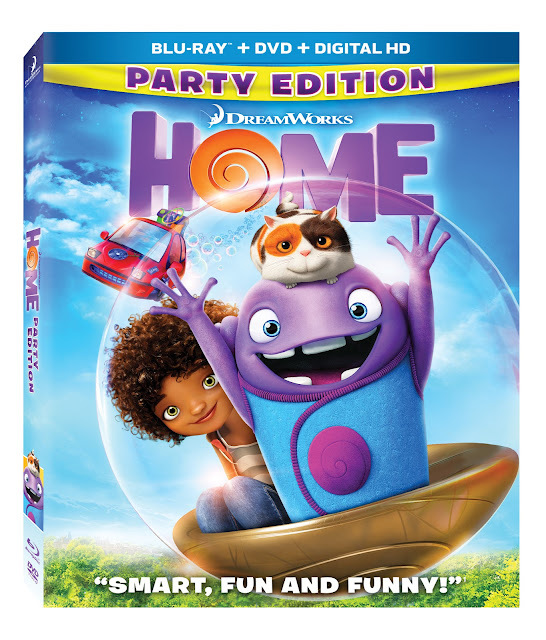 In celebration of the upcoming release of Home BluRay/DVD, we have something really fun and exciting to share with you and your family today! Please, check out these beautiful stills from HOME and enter to win your own shiny, new copy of HOME Blue-Ray/DVD!!! The HOME PARTY EDITION is Packed with over an Hour of Hit Music and Fun Dancing Content that will Get the Whole Family Shaking Their Boov Thing! LOS ANGELES, CA – Celebrate family, friendship and fun in the surprise smash comedy hit of the year from the creators of How To Train Your Dragon and Shrek! 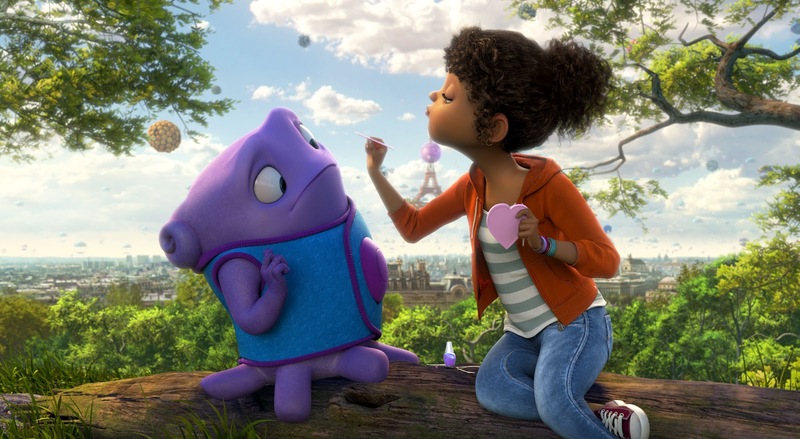 In DreamWorks Animation’s HOME, Oh, a lovable misfit from another planet meets a girl named Tip. The two unlikely friends embark on the greatest journey of all time...the journey HOME. Hailed by critics as “an animated triumph” (CBS Radio News) that is “family fun with tons of heart” (Fox TV), Twentieth Century Fox Home Entertainment will release DreamWorks Animation’s HOME PARTY EDITION on Digital HD June 26 and Blu-ray 3D™, Blu-ray™ and DVD July 28. • “Feel the Light” by Jennifer Lopez – Lyric Video – Watch Jennifer Lopez’s hit music video with colorful on-screen lyrics to help you sing along! • Oh’s Boovy Jukebox – Oh’s interactive jukebox includes 16 songs and will take you directly to all the magical music moments in HOME! ABOUT DREAMWORKS ANIMATION DreamWorks Animation creates high-quality entertainment, including CG animated feature films, television specials and series and live entertainment properties, meant for audiences around the world. The Company has world-class creative talent, a strong and experienced management team and advanced filmmaking technology and techniques. DreamWorks Animation has been named one of the “100 Best Companies to Work For” by FORTUNE® Magazine for five consecutive years. In 2013, DreamWorks Animation ranked #12 on the list. All of DreamWorks Animation’s feature films are produced in 3D. The Company has theatrically released a total of 31 animated feature films, including the franchise properties of Shrek, Madagascar, Kung Fu Panda, How to Train Your Dragon, Puss In Boots, and The Croods. ABOUT TWENTIETH CENTURY FOX HOME ENTERTAINMENT Twentieth Century Fox Home Entertainment is the industry leading worldwide marketing, sales and distribution company for all Fox produced, acquired and third party partner film and television programing. Each year TCFHE expands its award-winning global product portfolio with the introduction of new entertainment content through established and emerging formats including DVD, Blu-ray™ and DigitalHD™. Twentieth Century Fox Home Entertainment is a subsidiary of 21st Century Fox.